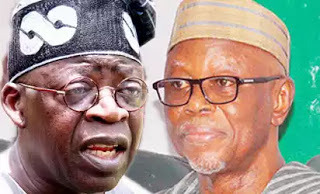 The party leader said the APC’s democratic credentials had been dealt a big blow by Odigie-Oyegun’s conduct, especially with his handling of the outcome of the Ondo State governorship primary. He said the APC was a party borne out of the quest for democratic good governance, arguing that the ideology was currently under a critical threat by those who managed to be in the party but were never part of it. According to him, from the party’s inception, the principles of democratic fairness and justice are to guide the APC’s internal deliberations. He stressed that the party’s founders realised that it was only by fair dealing that the party could remain faithful to the progressive ideals that were presented to the Nigerian electorate as governing creed.